The sun is shining, birds are chirping, and greenery is peeking through the dirt giving me hope Spring is around the corner. 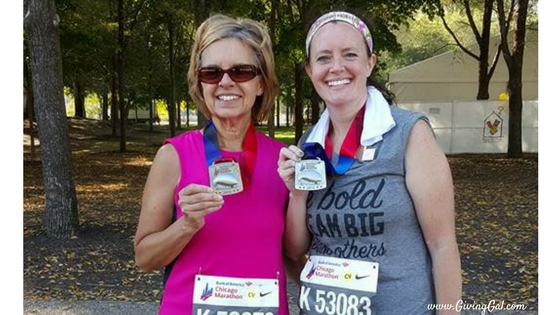 Warmer temperatures not only mean a changing of the seasons but charity 5ks are popping up everywhere. 1. Raise funds for a worthy cause. 2. Physically showing support for the nonprofit and/or family. 3. It's fun! Nothing like gathering with hundreds/thousands of people for one purpose. 4. Opportunity to get in shape. 5. A family event that gets you outside, active, and disconnected from technology. 6. You'll learn something about yourself. I've been running 5ks for 25 years and each race I increase my mental toughness. 7. Snap a few pics and share your experience and the charity on social media. Nonprofits love to see their message spread! I believe in giving to others and to yourself. 5ks are an opportunity to do both! Which race will you register for today? P.S. Today's challenge is in memory of Roger Bannister. He was the first person to break the 4-minute mile. He did so much for the sport of running. Today the running community lost a champion. Did you know there are over 28 million small businesses in the United States? 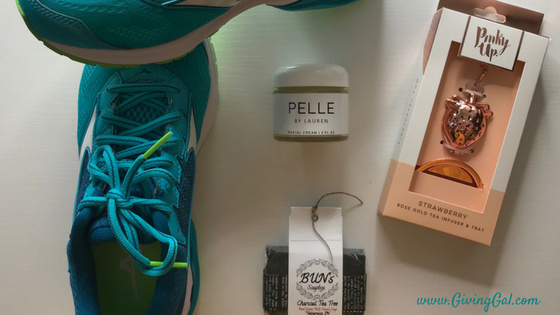 If you are in Northwest Indiana, I love Extra Mile Fitness Company for my running shoes and Aster + Gray for a gift or home items. Also local to NWI but available online is my favorite face cream Pelle by Lauren and homemade soaps by BUN’s Soapbox. I not only love all these products but I made new friends with the owners. Today if you are out and about, stop and support a local small business! You never know, you may make a new friend! I recently started writing articles for a police magazine and I submitted my second article today. My husband is my proofreader and after he read the article he sent me the texts below. They totally made my day! My husband is as honest as they come and if there was an issue with my article he would have said so. Even though this gift only took him seconds to send, it set my mind at ease that what I wrote was worthy of publication. I struggle with confidence issues as relates to my writing. Being dyslexic adds a layer of stress because my grammar isn't the best and I make mistakes that I can't see. I proofread everything over and over! At some point, I say a prayer and hit send! So you may not think a "kudos" text means a lot to someone but you never know what insecurities they are facing. If we build each up with our words, we'll also build up the self-esteem of others.Who in your life needs a little encouragement today? Last week my friend posted this newspaper clipping on FB. 25 years ago, the reserve basketball team I played on finished the season with a perfect 18-0 record. My friend tagged the players and we were all commenting and engaging with each other. Over the years I've been saddened by all the negativity on social media. Sharing good memories is a way to add positivity to your feed and is a free gift you can give your friends! What memory will you share? Several years ago Joellyn bravely stood up in one of my dream board workshops and shared a dream she'd never shared with anyone. She wanted to write a book. She had zero experience but it was dream God laid on her heart. After the workshop, Joellyn signed up for my coaching. As they say, the rest is history. We've been working together ever since! 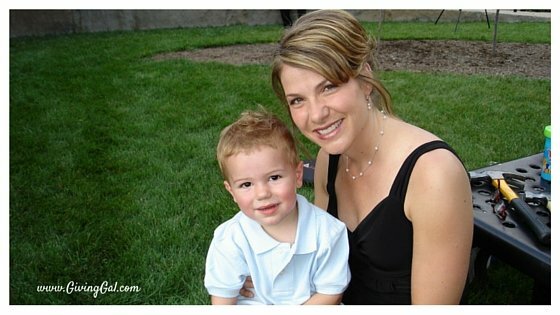 After we met, life threw her a curveball when her son was diagnosed with dyslexia. Joellyn didn't just become an advocate for dyslexic children but went on to become a dyslexia specialist. Months later I was thrown the same curveball, just much later in life. I'd always knew something was different with me, but most times I just thought I was stupid. Why could I not get things others kids got? At age 39, I discovered I’m dyslexic. The roles reversed and Joellyn was now helping me! Our paths were definitely meant to cross. We both have dreams of standing on a stage, sharing our incredible journey together. And guess what? We know it will happen! 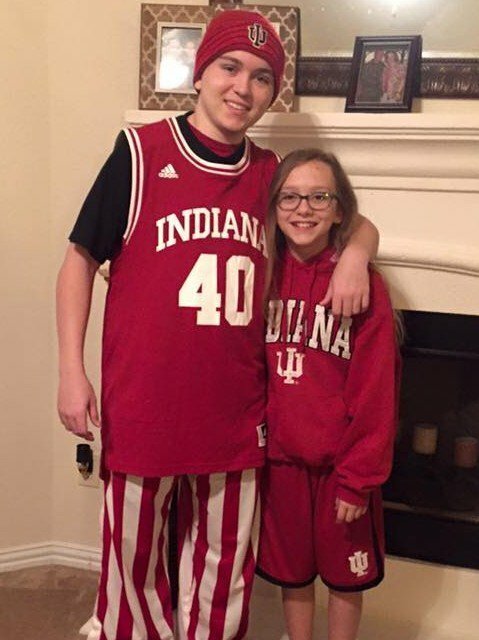 Several hours after that text, I sat at my desk, tears streaming down my face, watching my client, and friend, Joellyn, testify in front of the Indiana House Education Committee on her experience with dyslexia. What a moment! I’ve spent years being one of her biggest cheerleaders! Who will you cheer on this week? In an instant, our lives can change on a dime. A horrific car crash, a divorce filing, or a sudden job loss. I usually think of “in an instant” as a bad thing. Like eight years ago today, in an instant, my college friend Leslie, was gone after a brave battle with cancer. She was 32 years old. Even though we hadn’t spoken since graduation, I followed her journey through her blog. Each post brought tears, and sometimes sobs, and prayers for Leslie’s healing and comfort her family. But in an instant, Leslie’s death changed my entire life. Yes, I have lost friends in the past, but for some reason, her death hit me hard. Like a ton of bricks. Maybe it was because she was my age. We went to same the college. We were both married. Our lives looked similar. 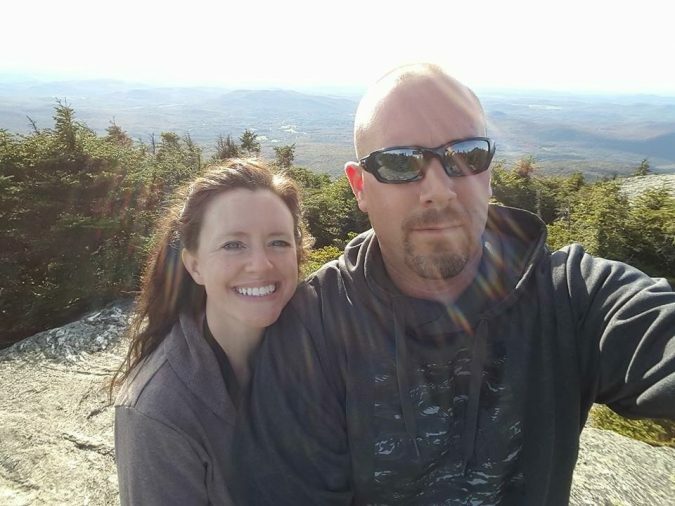 Her death came at a time when I was transitioning from being a police officer to starting a career in the corporate world. Months after her death I would become a workaholic, making a lot of money and wondering why the money wasn’t making me happy. I was living the same day, every day. Working long hours both weekdays and weekends. Was this what I was meant to do? To be? To work to make money? Leslie’s death started me questioning everything in my life. What the heck was I doing? How was I living my days? I started thinking, knowing, that in an instant, it could all end. It could all end and what would I have done? Years earlier I had created my dream list. Things I wanted to do. People I wanted to meet. Places I wanted to go and things I wanted to learn. It was saved in a file on my desk. I only opened it when I had something to add, rarely, if ever, checking anything off. 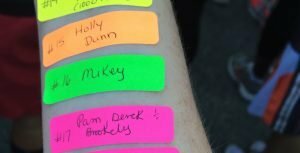 Leslie’s death challenged me to live my list. To be intentional about each day. My husband and I had a come to Jesus meeting August 2008. It was a heated discussion in our kitchen, I remember it like it was yesterday. I remember yelling, “what the hell are we doing with our lives?” I wasn’t angry, I was scared. Scared that the day would come and I would have a ton of regrets. The day would come and I wouldn’t be able to do all the things I wanted to do. The things that had been sitting trapped in an excel file on my desk. The trip was amazing. 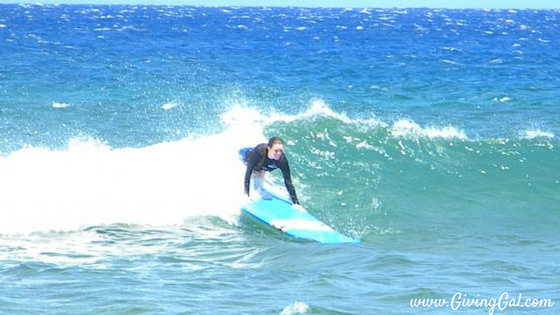 I learned to surf. We got up at 2:30a.m. to drive up a mountain to see the sunrise above the clouds and then biked 20 miles down. I thought I was going to die, but I did it. I was living! 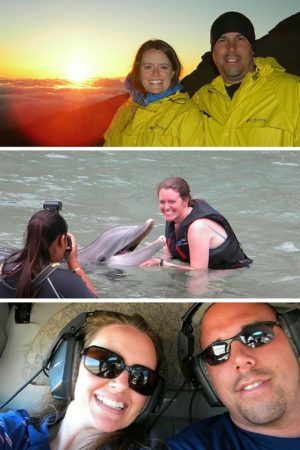 I took my first helicopter ride and I swam with dolphins. Did I mention a dolphin pooped in my hand? But I didn’t care. I…was… LIVING! I think of Leslie almost every day. Every July 26th, her name pops up on my calendar. It’s a day for me to be thankful for her journey changing my life, to remember her family and make sure I’m living the life she can’t. Friends, right now your life can change in an instant. From here on out you can choose to live a different life. If there is something you are struggling with or going through, don’t let it steal your happiness…your joy. What are your priorities? If you don’t know, sit down and make a list. Do you have a bucket list? If so, are you living it? If not, write out your list and keep adding to it. Then pick one and make a plan to live it! 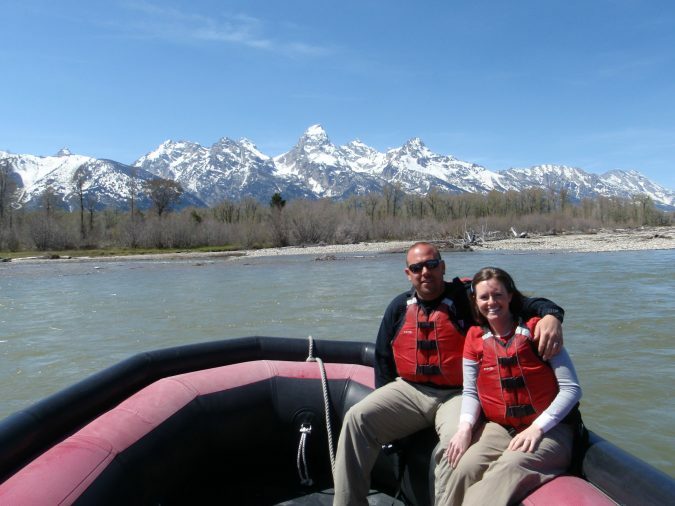 Stephanie Jones and her husband, Mike, live in Northwest, IN and enjoy lake life and travel. 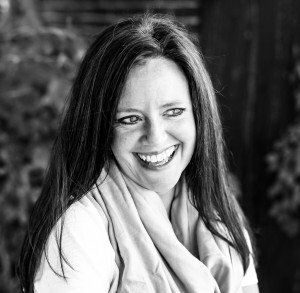 Stephanie is a writer, speaker, life coach, daily giver and soon to be an author of The Giving Challenge: 40 Days to a More Generous Lifer (pre-order now!). 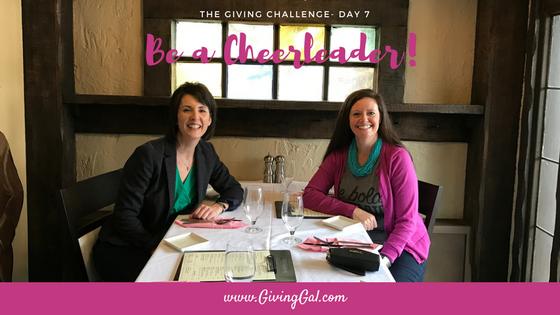 She challenges people to be bold in their actions, accomplish and live their big dreams, and bless others daily through giving. You can contact Stephanie by email at stephanie@GivingGal.com. Do you know the dreams of your friends? Two years ago I watched my niece construct all sorts of amazing things with Legos. She had music playing and I asked her about the song and artist. She stated it was the Newsboys and how she would love to see them in concert. Memories flooded my mind as I attended several Newsboys concerts some 25 years ago. I love everything concerts offer. Dancing, singing, good energy, fun and memory making with friends. I loved she was showing an interest in live music, as it has been a big part of my life over the years. After our brief discussion, I could have easily forgotten about the conversation and went on enjoying our time together. But I think we have a duty to help others accomplish their dreams. If we can, we should take action, especially where they may not be able. Listen. Sometimes we do a good job of speaking, but often don't listen and hear what others are telling us. People share their dreams with us all the time, but we may let their words go in one ear and out the other. Make Their Dreams a Priority. Write it down. Put it on your to do list. Keep it in the front of your mind. We all live busy lives and it's hard to remember our own goals and daily tasks in addition to someone else's. Research. Start researching how you can help your friend accomplish their dream. For the concert, I continually checked Newsboys tour page on their website. I was so excited when a location and date that worked popped up! Get Your Friend Involved. It's their dream, but for one reason or another, they hadn't been pursuing it. It may be confidence, time, ability, etc. By you doing some of the leg work, it may be enough to jump start them to making progress on accomplishing their dream. Be an Encourager. Let your friend know you are there to support their journey. From time to time, check in. Ask for next steps and discuss a time frame for accomplishing the steps. Be a cheerleader along the way and before you know it, they'll be accomplishing their dream. 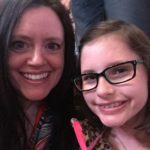 After two years, I was finally able to take my niece (and nephew) to the Newsboys concert. It was an incredible evening. We laughed, sang songs, danced, ate popcorn and enjoyed time together as a family, as I couldn’t leave out my mom and sister. Sure I could have bought Legos, for her birthday, but making a memory that will last a lifetime was so much better. Experience gifts are one of the best gifts you can give. 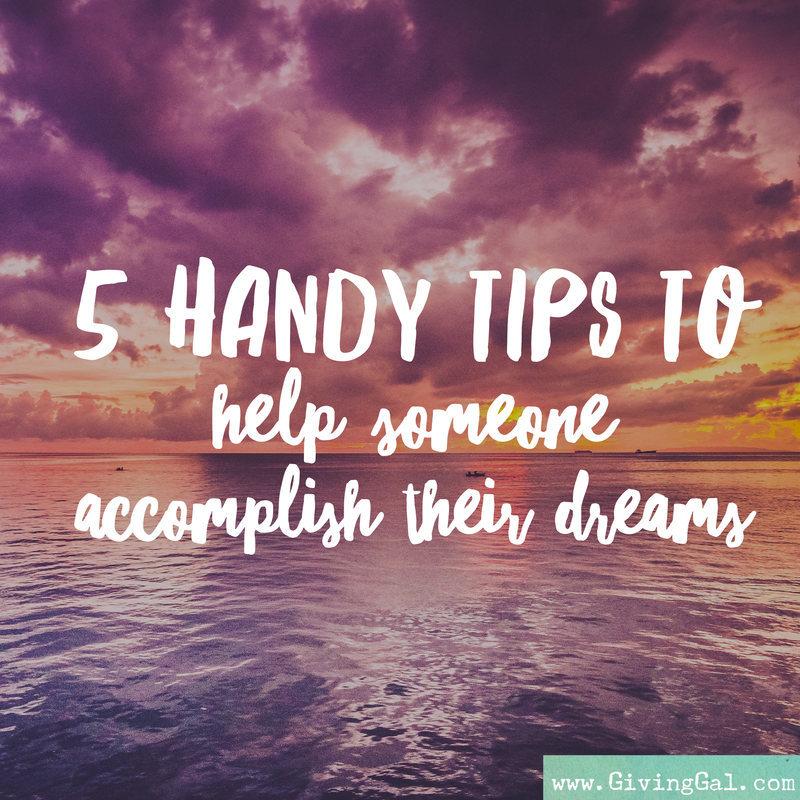 If it helps someone accomplish their dream, even better! Stephanie Jones and her husband, Mike, live in Northwest, IN and enjoy lake life and travel. Stephanie is a life coach, speaker, daily giver and soon to be author who challenges people to be bold in their actions, accomplish big dreams, and bless others through giving. She asks if I’m on any medication for GERD. I say, no. We have a long discussion about it, I tell her I fall off the bandwagon at times, but always revert to restricting gluten. “You CAN get off caffeine,” I said. Sure you can. Why not? All of that to say, our thoughts dictate many of our actions. They dictate if we not only dream but pursue our dreams and then believe enough in ourselves to accomplish those goals. There is something you want to do right now, but you’re stuck. Stuck in bad habits. Stuck thinking negatively and you think your situation is never going to change. I’m here to tell you that’s not true. That’s not true at all. Change negative thoughts to positive and watch how your life changes. Two years ago I talked to a group of moms about DREAMING BIG. During the workshop one mom stood up and shared, with a crowd of strangers, she’d always wanted to write a book. She was scared to utter those words. She knew nothing about writing. But guess what? A year after standing up and sharing her dream she submitted her book to a publisher! She shared her dream, hired me as her coach, we worked on a game plan, she took baby steps and made progress every week, focusing on her goal. She invested time and money into herself, and her life is on an amazing new path. We both have no doubt she’ll be a published author, and we are excited where else God is going to take her. turn your can’t to can. stop thinking you’re not worth it. You are! You were created to do AMAZING things. Write your dream down. Share it with someone. Write the next three steps you need to take that are going to get you closer to accomplishing your goal. Start taking action! If I can help, let me know. I’d love to go on the journey with you. Never miss a post! Sign up for my weekly newsletter here. 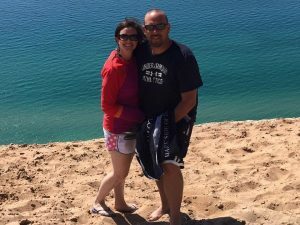 Stephanie Jones and her husband, Mike, live in Northwest, IN and enjoy lake life and travel. 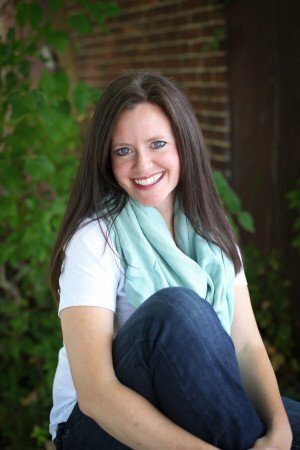 Stephanie is a writer, speaker, life coach, daily giver and the author of The Giving Challenge: 40 Days to a More Generous Life. She challenges people to live their dreams, discover their gifts, and do amazing things. Sitting on the edge of the tub wincing and talking to myself, turning around from shaving my husband says, "Pull it off quickly." Yank! Ouch! Jetting up and hopping around I'd done it. I pulled off my toenail and now was in excruciating pain. Sitting back down, I said, "I'm feeling woozy. I may pass out." I was a little dramatic. But my toe did hurt. It's been two months since I ran the Chicago Marathon and I'm still feeling the effects. I've lost two toenails in two nights. I'm processing the experience and trying to hold on to my greatest accomplishment of the year, my Everest. What's that quote by Helen Keller? The quote by Ms. Keller sums ups my training and the marathon. It was not easy and definitely not quiet. Ask my husband. I whined, cried and complained. Every training run came with a trial, from being chased by dogs to jumping in ditches because of distracted drivers. The first couple of months I suffered with every step. I was out of shape and nagging back problems wore on me more mentally than physically. After crossing the finish line, I knew I had been strengthened, inspired, and success achieved. Like mile 17, I was still running through a wall. I drew my inspiration for mile 18 from Brian Dickerson, Everest Solo Summiteer, Former USN Air Rescue Swimmer and Author of one of my favorite books, Blind Descent. Brian and I work at Cisco and I had an opportunity to hear him speak at a company event. After the event, I logged into Amazon and bought his book, Blind Descent. I've been obsessed with Everest for years. A love passed down from my father. I've watched all the movies and read many books on the world's highest peak. If there is an IMAX on Everest I'm there! My review on GoodReads summed up my feeling for Blind Descent and why Brian was my inspiration for mile 18.
" There are several things in life I’m obsessed with in reading about, Navy Seals and Mt. Everest. I think the draw for me is the understanding of those that are not just physically tough, but extraordinarily mental tough and Brian Dickinson definitely falls into this category. I started the book on a Saturday morning and couldn’t put it down. I’m a slow reader, so I literally did not accomplish anything all weekend except finishing the book. He had my attention in the prologue and never lost it. I might add he had me in tears on page two of the prologue also. This book was written with so much emotion I felt like I was on the journey with him and his family and friends. I’m not sure how one doesn’t believe in God after reading this book. I have ready many books on Everest, the tragedies and stories of survival and this by far is the best I’ve read. Even if you are not into Everest it would still be an excellent read. Anyone going through a struggle or a hurdle they think is impossible needs to read this book. There is always hope." As I struggled with each step I would think about Brian's journey on Everest. I would think, it's sunny and warm while I'm running. Brian faced subzero temperatures. I had plenty of oxygen and Brian ran out. I was surrounded by thousands of people, cheering and supporting me each step of the marathon. Brian was alone. I could see the path in front of me, read the signs fans created and knew if there was a pothole that needed to be avoided. Brian experienced snow blindness and couldn't see his hand in front of his face. If Brian could make it off Mt. Everest blind, I was going to make it through mile 18 and I did. No excuses. I suffered through mile 18, but character was developed. I was nearing the peak of my Everest. 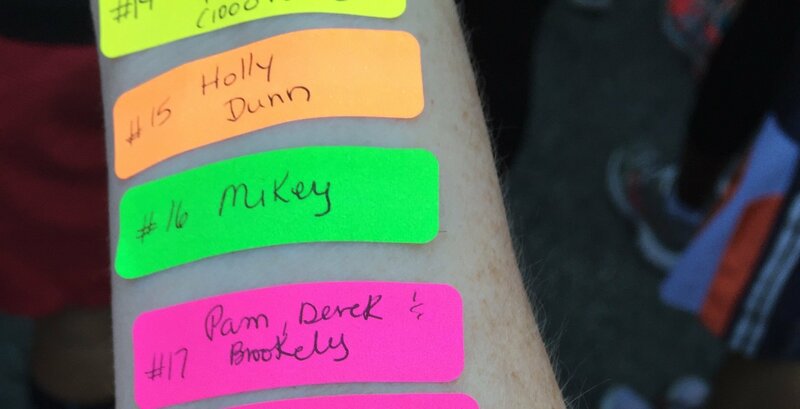 I ripped off the label with Brian's name etched, gave it a kiss, whispered a thank you and flung it over my shoulder. I was onto #19. As we approach the New Year, I challenge you to think about what you want to accomplish in 2016? What's your Everest? Here are a couple of steps you can take that will put you on the path to success. Go read Blind Descent. It will motivate you to Dream Big and pursue those dreams. Grab a pen and paper, find a cozy, quiet place in your home, and jot down your goals for 2016. Pick one goal to focus on and write the next three steps you have to take to move towards accomplishing your goal. Shoot me an email at Stephanie@GivingGal.com or post on my FB wall one thing I can do to help you accomplish your goal. Accountability is key to success! "Whatever your mountain is-no matter how impossible it seems at times, no matter how many obstacles you face along the way, and no matter how many people tell you it can't be done- it is possible for you to summit. My parting words are simple: Live life. Create goals, and then chase after them."